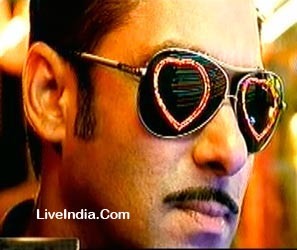 After Shah Rukh Khan, it's Salman Khan who is calling the shots in his home production Dabangg. The actor has spent a great amount of time in editing the movie. A source working on the film tells Mumbai Mirror, "Salman has taken a great deal of interest in editing. He's been patient and learnt all the technical aspects of being a good editor. In fact, he started editing Dabangg right during the making of the film. He knew at the shooting stage what he wanted to keep in the film, and what needed to be chopped." According to reports, Salman also wanted to edit out a lot of his last release Veer, but director Anil Sharma hadn't let him interfere. Salman Khan will play a corrupt and fearless cop from Uttar Pradesh in the upcoming film Dabangg, which will mark Shatrughan Sinha's daughter Sonakshi's debut in Bollywood. The film, which will have Salman mouthing a lot of UP slang, will also mark the debut of his brother, Arbaaz Khan, as a producer. Arbaaz also acts in the film to be helmed by Anurag Kashyap's brother, Abhinav Kashyap. Dabangg, which means bold, will feature Salman in a never before seen role and makeover, well outside the mould of the rich and stylish Prem. Sonakshi, who turned 22 this month, has studied fashion design at SNDT college, Mumbai and was all set to pursue a career in fashion designing. However, Salman discerned a lot of histrionic potential in her when she walked the ramp at a fashion show that he attended. He convinced Sonakshi and her parents – Shatrughan and Poonam – to give acting a shot but told her she would need to shed 10 kg of weight. Sonakshi had already shed 30 kg before her ramp debut. So far, Sohail Khan has been the producer in the 'Khan'dan, with Salman featuring in most of his film, typically co-starring with a sibling. Upcoming Sohail Khan films include Wanted Dead Or Alive featuring Salman with Arbaaz; and Main Aur Mrs Khanna featuring Salman with Sohail.